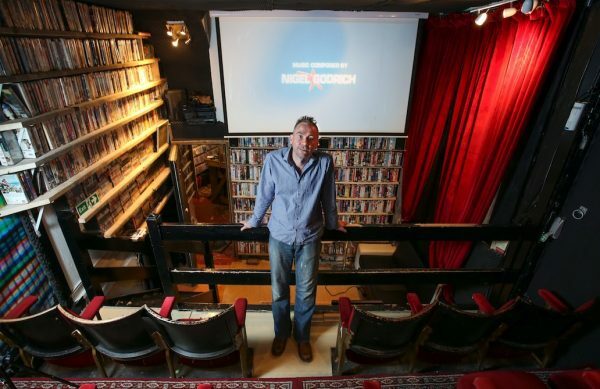 One of the last video rental shops in the UK has found a way to boost business in a period of contraction–by morphing into Britain’s smallest cinema. Even as many of its competitors have shut their doors permanently, 20th Century Flicks last year managed to generate £160 ($215) profit after wages. Thanks to a novel idea by owner David Taylor, the tiny rental shops continue to stay afloat despite the rising popularity of Netflix and illegal video streaming sites. 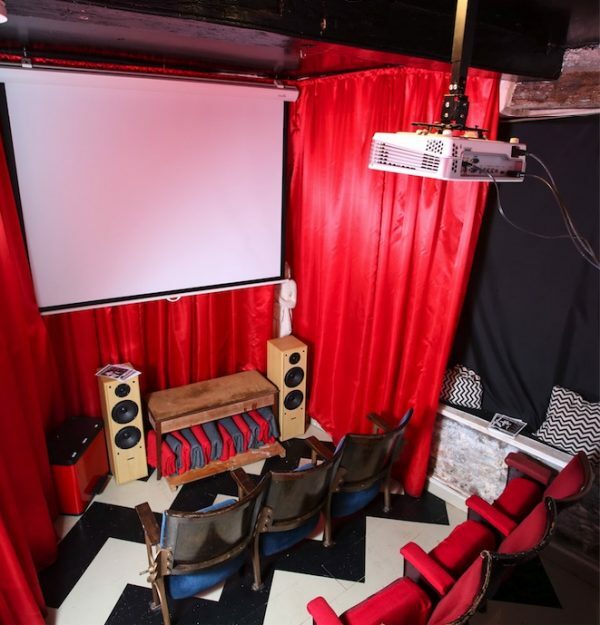 Using his amateur carpentry skills, he built up a micro-cinema in the store that seats 18 film-goers. He describes what he’s done as “like a jukebox,” with punters browsing the shelves to choose what they want to screen. And there’s a lot to choose from, as 20th Century Flicks houses the UK’s largest collection of movies. Around 20,000 titles grace its shelves. “When I started here 16 years ago, DVDs were still around but it was mostly video. We’ve got around 1,500 videos and the rest are DVD and Blu Ray,” Taylor said. Some of his customers come it to see films that can only be seen on videotape. “There’s VHS stuff you can’t find on DVD, we’ve got a film called The Spider Stratagem which is quite a rare Italian film that never got released apart from video. Taylor estimates that a couple of hundred customers come through the door a week to rent films, a number which is doubled by those who come in to go to the cinema. His clientele includes amateur filmmakers showing their work off to pals, hen parties, and groups of film buffs with niche interests. Customers have a two-hour time slot to use the cinemas and browse the shelves before choosing what they want to watch. “The cinema thing has enabled us,” Taylor said. “It is the majority of our income. Positioned right in the center of Bristol, 20th Century Flicks is housed in a 500-year-old building. “I think it reminds people of a different era,” Taylor said.